Most people are aware of braces as oral appliances, but how about mouthguards? Except from those things which boxers and football players place inside their mouths, what else are mouthguards for? And how do they contribute towards ensuring that you have good dental health? Mouthguards are oral appliances which are often made of acrylic or rubber that are fitted inside a person’s mouth in order to cushion the wearer’s teeth and protect it from damage. A mouthguard should be used when one is playing a contact sport or any sport which involves a moving object at super-high speed. These sports include, but are not limited to, the following: boxing, cricket, football, hockey and rugby. At the same time, people who grind their teeth, or those who suffer from bruxism, should also get mouthguards n order to prevent damage due to these grinding episodes. 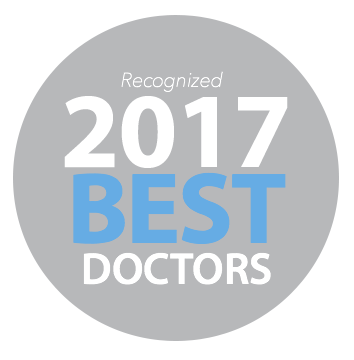 When it comes to getting mouthguards, it’s always best that you approach your dentist for this. While it is possible for you to pick out generic mouthguards in pharmacies or in any sporting goods store, having a specially-made mouthguard will ensure that the oral appliance fits your teeth snugly, but still comfortably. A too-tight fit could actually cause your teeth to shift positions which can give you an awkward smile and exacerbate the problem further. Your dentist will need to take impressions of your teeth during your initial visit with the help of dental putty. Once the impressions of your teeth are done, they are then sent out to a laboratory in order for them to be made by a dental technician. After a couple of weeks, your dentist may ask you to come in for a second time to have your mouthguards fitted. What are mouthguards made of? Mouthguards are usually made of acrylic material. The reason this rubbery material is used is because it acts as a form of cushion around your teeth. The problem with using a material which is too tough or stiff is that it could actually end up scratching your teeth whenever you grind your teeth or when your mouth receives immense impact. 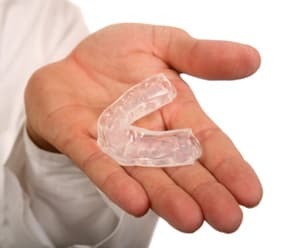 While mouthguards are often worn only during the night, people who suffer from severe bruxism may need to wear mouthguards all throughout the day. For this reason, their mouthguards have to be made with a special material that is extremely thin and less conspicuous. If you’re looking for protection for your teeth and mouth, give us a call at (916) 382-0992 to discuss how a mouthguard can work for you.